Luchador! 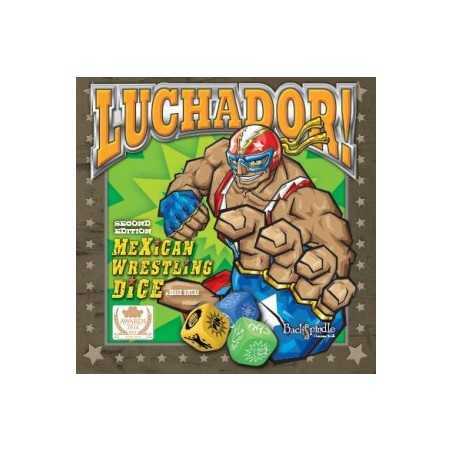 Mexican Wrestling Dice is a two-player dice game (with optional rules for four-player tag-team play) based on the popular world of professional Mexican wrestling, or "Lucha Libre" (a.k.a. free fighting). 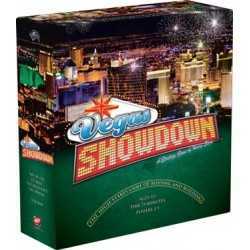 Players start with 21 points of health (or 18 in a tag-team match) and roll custom dice to try to either reduce the opponent's strength points to zero to win by a knock-out (KO) or hold the opponent down on the mat for a "count of three" to win by a pin. The player sitting near the 'red' corner of the wrestling ring uses 4 'red' wrestling dice, the player near the 'blue' corner, the 4 blue wrestling dice. Each player also has a HIT die and a PIN die. 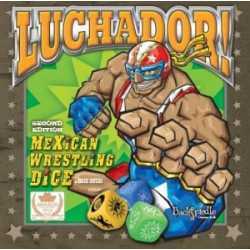 Players begin by each rolling their own set of 'wrestling dice' at the same time, trying to ensure that they land in, or touching the wrestling ring. 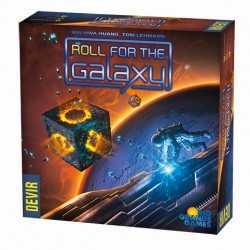 The results of HITs, BLOCKs, COUNTERs, and MISS rolled are played off against each other then the HIT dice can be rolled to see what damage they did. i.e Drop Kick, Forearm smash, Table slam etc. Damage is recorded on the Strength Score Card of the player being hit. 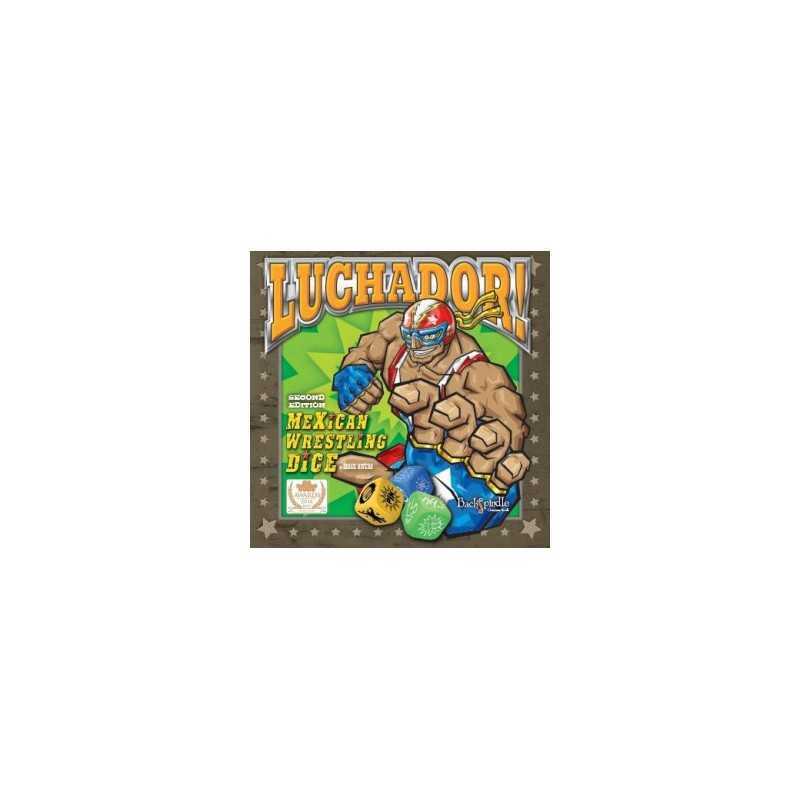 If a player rolls two HITs in one round, instead of rolling the HIT dice twice, they can take a chance on the Luchador! die once which may result in their wrestler's trademark moves and inflict much more damage on their opponent. Any PINs rolled in a round may be re-rolled, once only. However once an opponent is reduced on their strength to where they are pinable, the PIN die is held until after the HITs have been inflicted then the PIN die is rolled. If PIN comes up, the 'three count' begins. The player being pinned has three attempts to save, using their wrestling dice or lose the match. In a tag-team match players have the choice of trying to tag-out to regain slight strength, but it can also cost them..., if they fail to tag and get dragged back into the ring by their eager opponent.